WJ Murdoch & Co Pty Ltd, an Australian family owned and run business, are owners of Mudgee Dolomite and Lime Pty Ltd, the Mudgee Stone Company and the Oberon White Granite Quarry. The companies hold a 100% interest in Limestone, Dolomite, Pyrophyllite (Talc) and Felspathic Rhyolite (Feldspar) deposits all located within 30 kilometres of their processing plants. These deposits are the source of a range of products with diverse agricultural, industrial and mining applications. Such applications include the reduction of soil acidity and magnesium deficiencies, glass fibre insulation, ceramic whiteware, fillers and fire suppressants for the coal mining industry. 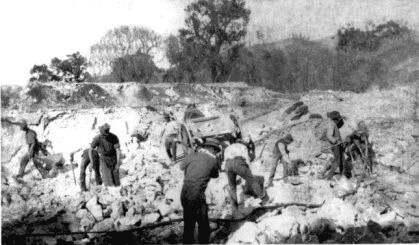 William Murdoch founded WJ Murdoch & Co Pty Ltd over 60 years ago at Mt Knowles, Mudgee, where dolomite was quarried and processed for both the agricultural and industrial markets. Brian and Bob Murdoch purchased Mudgee Dolomite and Lime Pty Ltd (formerly Industrial Minerals Australia) in the late 1990s. All quarries are now managed and operated by themselves and their sons. 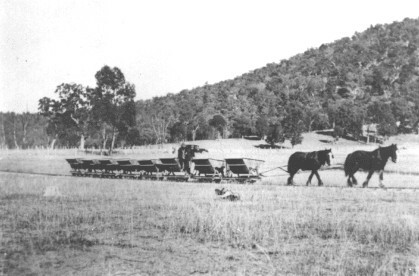 Horses pulling loaded carriages, Mt Knowles quarry – 19?? 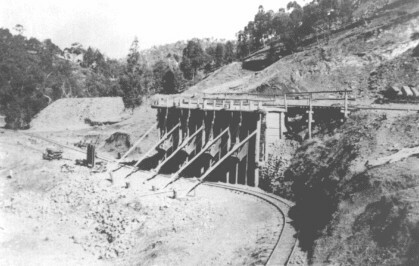 Loading Bay, Mt Knowles quarry – 19? ?